Just in time to celebrate Canada’s 150th Anniversary, the Maple Leaf comes to you direct from New Brunswick, Canada! 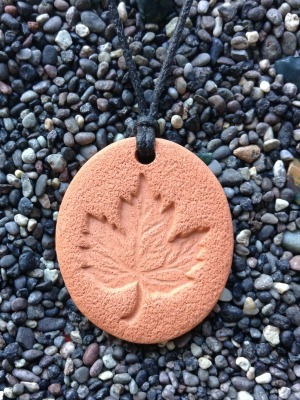 Show your Canadian pride by diffusing essential oils on the pendant bearing this rich Canadian symbol; maple syrup in the spring and glorious color in the fall! Not to mention it’s place of honour on the Canadian flag. The Maple Pendant measures 3.25 cm by 3.75 cm (1 ¼ by 1 ½ in). Have purchased all of the leaf pendants. Great as gifts for those who like nature. Use to give as a special gift with essential oils.